Hard to find an 'antique' coffee table. 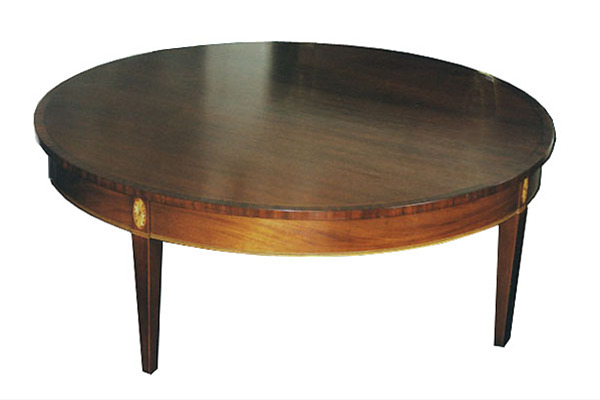 This Federal Era inspired table is in mahogany with rosewood, satinwood and ebony inlays. Also available as a rectangle, with or without a shelf below. A versatile design for the period home. Email for custom quotes.